Bucket List: You love nature, animals, and water experiences and have always been inspired by the Galapagos. It is one of the world's greatest examples of conservation and research. Straddling the equator some 600-miles west of mainland Ecuador are Las Islas Encantadas—the Enchanted Islands. Better known as the Galapagos Archipelago, these pristine and exotic islands are a nature lover’s paradise and one of the most unique and coveted photographic destinations in the world. Our exclusive photo tour here offers you total immersion in this natural world, one that‘s truly primeval. Here lizards, penguins, and blue-footed boobies share the beach with us, unconcerned by our presence. You’ll capture amazing memories as you walk along bright white sandy beaches framed by crystal-clear aqua waters, or try world-class snorkeling at Kicker Rock. 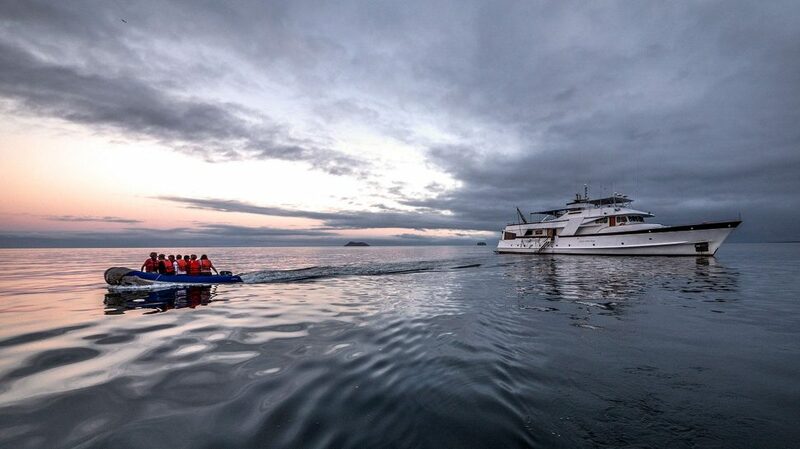 And because our Galapagos adventure is based on a small boat (the Beluga), you’ll be able to delve more deeply into all that they have to offer. Throughout this very special adventure, your camera becomes the third eye you need to view and capture this rare destination up close and keep it forever in your heart. Every step of the way hands-on instruction, guidance will be provided by renowned South American wildlife photographer, Ossian Lindholm. He will ensure you have plenty of opportunities to get the perfect shot of a hummingbird, a blue-footed booby or a barking seal. During our rest periods on the boat, you will have plenty of time to review your photos with Ossian who will provide useful feedback on how to edit and make your photographic vision come alive. Marine iguanas, Galapagos sea lions, blue-footed boobies, Nazca boobies, flamingos, Galapagos Darwin’s finches (several species), Galapagos penguin, greater flamingo, black-necked stilt, Galapagos giant tortoises (both in captivity and in their natural environment), white-tipped reef shark, black-tipped reef shark, Galapagos reef shark, spotted eagle ray, stingrays, and several species of tropical fish. It’s also possible to see several species of whales (humpback, pilot and orca), bottle-nosed dolphins, and giant rays. Upon your late afternoon or early evening arrival in Quito, we will meet you at the airport and assist you with your luggage and transfer to the hotel near the airport. We'll then have a welcome introductory dinner in the evening. After breakfast, we drive towards Bellavista Cloud Forest. Along the way, we stop at the Equator Line also known as “The Middle of the World.” Here, we take a tour of the Intiñan Museum, which explains the history behind the equatorial line and the ancient indigenous groups that occupied the area. For lunch, we stop at El Crater Restaurant in Pululagua then we will drive north towards Bellavista. We’ll enjoy photo walks along the Cloud Forest's excellent network of easy to moderate trails. The forest has a vast array of orchids and incredible waterfalls within the reserve. We’ll have a short walk before breakfast, when birds are more active and photography opportunities are at its best. After breakfast, we’ll walk the trails of Bellavista in search of one of many waterfalls hidden in this forest, a magical place full of life. You’ll enjoy and capture the play of light on giant ferns and learn not only about different animals and plants, but also about how the locals use them. We head back to the lodge for lunch, after which we’ll have another short walk to photograph hummingbirds and rare bird species. We'll take an early flight to Baltra airport on Santa Cruz Island where our expert Galapagos guide awaits and transports us by dinghy to La Beluga, our home sweet sea home for eight days. After lunch, we’ll snorkel with sea lions and we’ll also visit the Highlands of Santa Cruz, where Galapagos giant tortoises can be seen in the wild. We’ll also visit the Charles Darwin Station, which is a research facility and National Park information center. We’ll have a delicious breakfast on Floreana Island, which is best known for its colorful history of buccaneers, whalers, convicts, and early colonists. We’ll go to Punta Cormorant which has two contrasting beaches and a large inland lagoon where pink flamingoes can be seen. Next, we’ll visit Devils Crown. This is a snorkeling site located just off Punta Cormorant and it’s a completely submerged volcano that has eroded to create the appearance of a jagged crown. Then, we’ll go to Post Office Bay, which is one of the few sites visited for its history. Isabela is the largest of the Galapagos Islands and was formed by five active volcanoes fused together. We’ll visit Sierra Negra, a volcano that has a caldera with a diameter of six miles. While there, we’ll view recent lava flows, moist highland vegetation, and parasitic cones. Lastly, we’ll visit Puerto Villamil. Highlights include the Tortoise Breeding Station and the flamingo lagoon. We’ll visit Punta Moreno, which is located in the central southwestern coast of Isabela Island. It boasts spectacular views of volcanoes Alcedo, Sierra Negra and Cerro Azul. Some highlights include impressive lava flows, desolate and pristine landscape, and varied and unusual arid zone vegetation. We’ll then go to Elizabeth Bay, where it's possible to see penguins on the small islets in the bay. Galapagos sea turtles and rays can usually be seen in the water! Urbina Bay is located at the central-west coast of Isabela Island at the foothills of Alcedo and Darwin volcanoes. 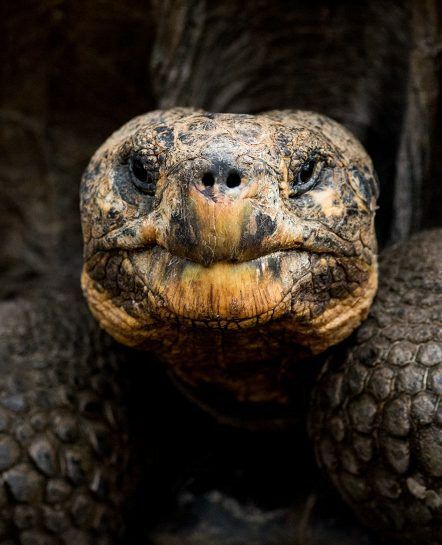 Highlights include the colorful land iguanas, Galapagos giant tortoises, and the coral uplifting from 1954. We’ll also go to Tagus Cove, a natural harbor where, centuries ago, whalers and pirates left their ships’ names painted or carved on the rocks. A walk uphill to Darwin’s Lake will provide an excellent view. Fernandina is the youngest volcanic island and is still active. While there, we’ll go to Punta Espinoza, a place famous for its large colonies of marine iguanas and home to unique species like the flightless cormorant, Galapagos penguin, Galapagos hawk, Galapagos snake, and many more. We’ll also visit Punta Vicente Roca on Isabela Island, which is visited by dinghy rides along the cliffs or the partially sunken cave at the water’s edge. Nasca boobies, blue-footed boobies and flightless cormorants inhabit the shoreline. This island is located between Isabela and Santa Cruz Islands, and offers a wide variety of seabirds, marine iguanas and fur seals. While on Santiago Island, we’ll go to visit Puerto Egas, where we’ll walk along the rocky coast line that will give you a view of some of Galapagos’ best tide pools. Some highlights include sugar loaf volcano, fur seals, oystercatchers, a marine iguana colony, and an old salt mine. Later in the day, we’ll go to Bartolome Island (Bartholomew) and take a hike. Sea lions and penguins can be seen around Pinnacle Rock. There’s also a sandy beach with great swimming and snorkeling. This flat piece of land originated after an uplifting event thousands of years ago. The island is home to endemic Palo Santo trees, colonies of blue-footed boobies, swallow-tailed gulls, and magnificent frigate birds. From Baltra, we’ll have a return flight to Quito to make your international connections.